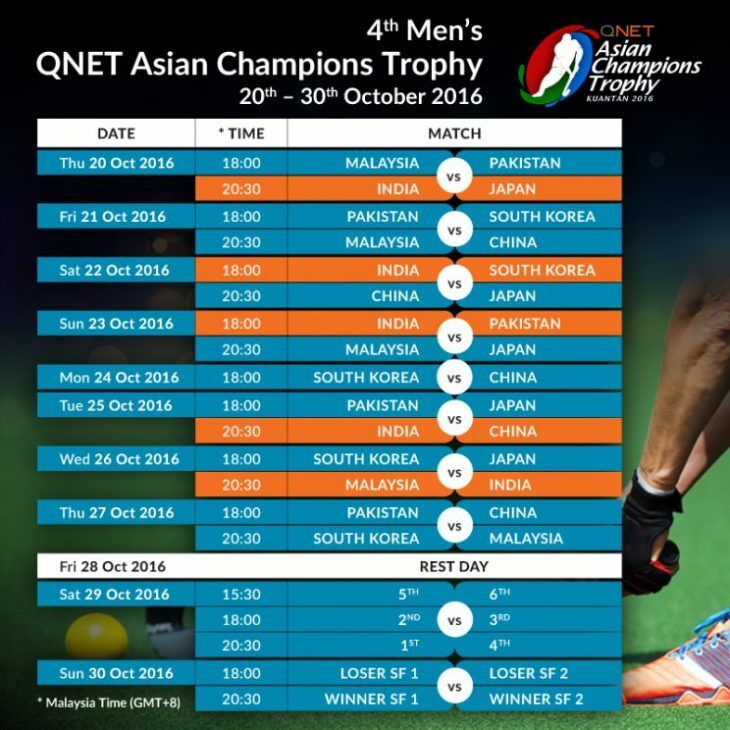 QNET Asian Champions Trophy hockey 2016, that brings together six of the best men’s hockey teams in Asia, will battle out for the title of Asian Champions from October 20th to 30th 2016. The six power teams are India, Pakistan, Malaysia, Korea, Japan, and China. The teams will play in a round-robin format, followed by the semi-finals and the finals. Hosted in Wisma Belia Stadium in Kuantan, Malaysia, the first match of tournament will see the Malaysian hosts take on the continental giant Pakistan. The winner of the 3rd Asian Champions Trophy and the current title holder. This will be followed by the match between India and Japan. 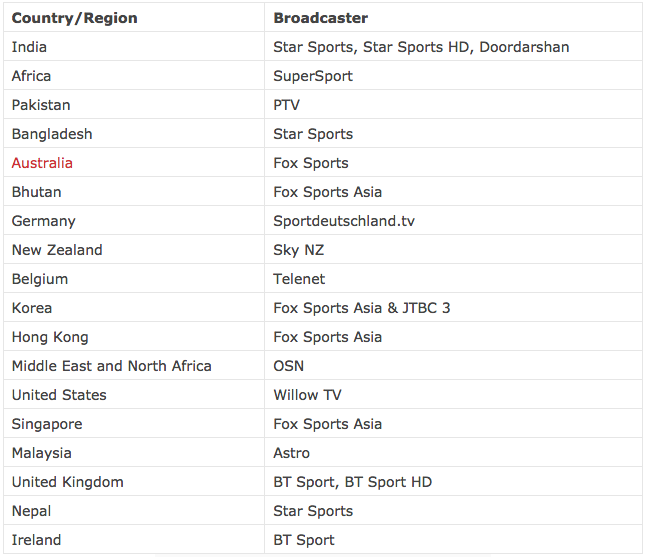 The event will be broadcast live in the countries listed below via their respective TV providers. You can access the Broadcaster channels via our service. Alternatively, you can also watch Asian Champions Trophy Hockey 2016 via Hotstar TV site for free via our service. If you haven’t registered with us, please follow the step# 1 below and if you’ve already have an account with us, you can go directly to Hotstar TV and enjoy the best hockey in Asia. Step 1: Go to www.simpletelly.com and register for your 14-day free trial. SimpleTelly is a smart DNS service provider which allows you to bypass region restricted content such as accessing Hotstar TV outside of India. SimpleTelly’s registration process is pretty straight forward and it will not ask you to enter your credit card information and you will not be charged after the free trial expires. Step 2: Once you’ve registered for their free 14 days trial, click on the link below to setup SimpleTelly on your device based on their written instructions. Step 3: Once you’ve set it up, that’s it! You can go to Hotstar TV website and watch Asian Champions Trophy 2016 Live for FREE! If you’re on a mobile device such as an iPad or Android, you can also download HotStar Mobile app via the link(s) below and watch Asian Champions Trophy Hockey 2016 conveniently on your device. If you can’t download HotStar, this is because your Apple’s App store or Google Play Store account region is not set to India. Please click on the link below on how you can circumvent this restrictions. If you ever have any problems, just drop a ticket to our awesome 24/7 support staff! And feel free to hit us up on Twitter or Facebook if you have a question or just want to talk sports, movies, or shows!